Welcome to on-line discussion board of the Active Citizens Take Action project aiming to bring together citizens active in youth and Internet non–governmental organizations across Europe to discuss topics of Internet privacy and On-line forums as democratic tool. Results from facilitated on-line discussions will be summarized in facilitators report presenting key messages and main proposals from participants. Reports will be delivered to decision-makers at the European and national level by partner organizations asking them to provide official feedback. Feedbacks received from decision-makers will published in this discussion board. * On-line forums as democratic tool? source: browertech.wordpress.comThe capability for individuals to interact online without giving-up their personal privacy is a crucial element of the Internet's value, and is strongly related to its trustworthiness. It is about keeping the capability to disclose data consensually, and with expectations about the context and scope of sharing. 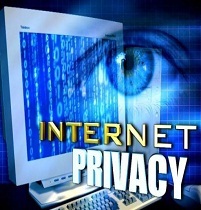 The privacy implications of the current Internet represent a significant and growing concern. 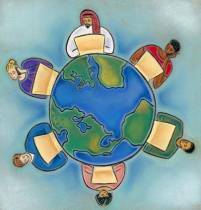 Discussion: On-line forums as democratic tool? source: socialmediawatch.netOn-line forums are defined as e-democracy technique for promoting new spaces of deliberation by enabling citizens to exchange and share respective political opinions among themselves. Main goal of this on-line tool is to enhance the process of citizen’s opinion formation through their deliberative engagement. On-line forums can also support e-consultations during decision-making by providing the general public, experts and interest groups with developments in a policy field and invite them to respond (Trechsel et al 2003).